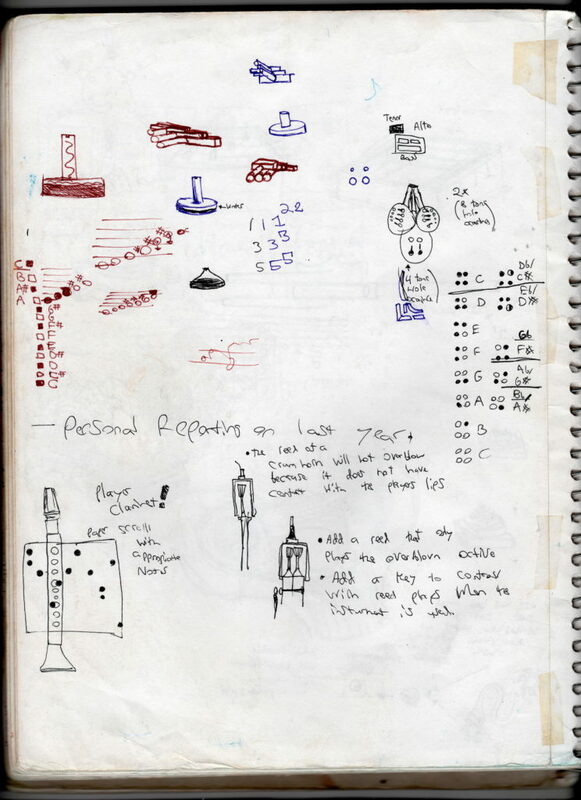 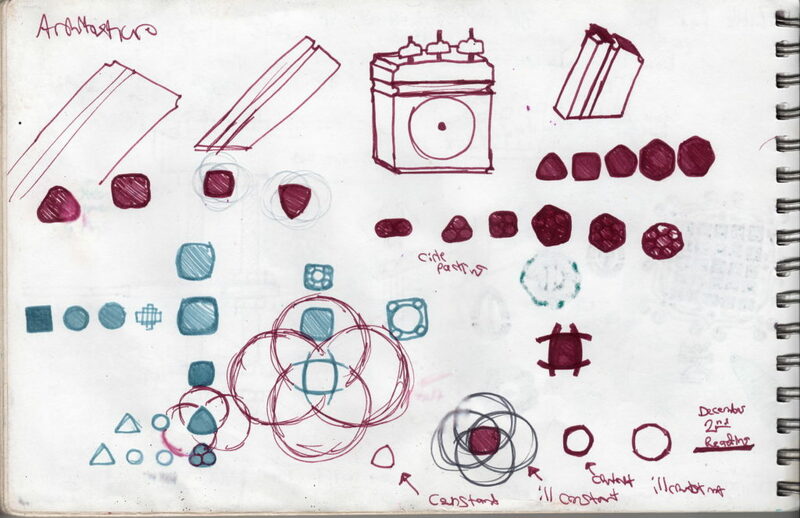 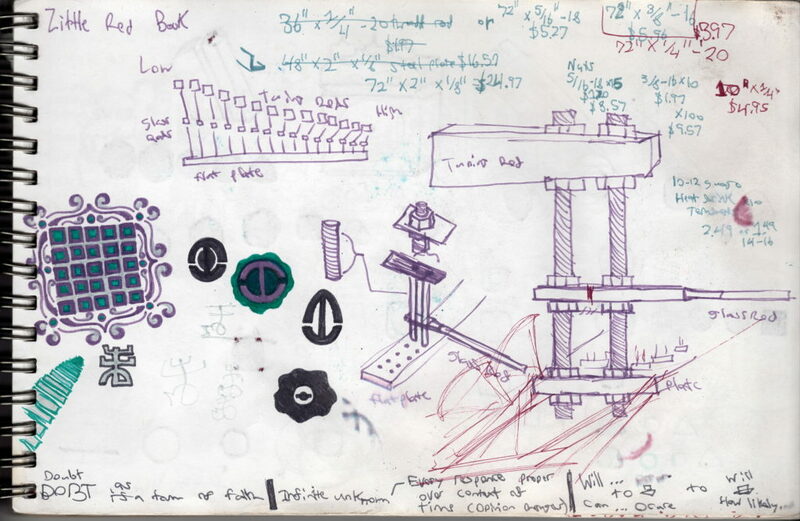 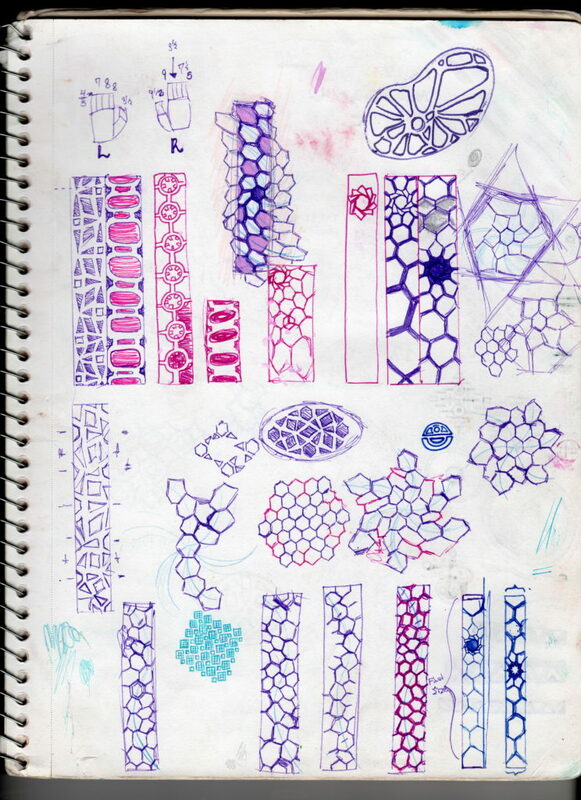 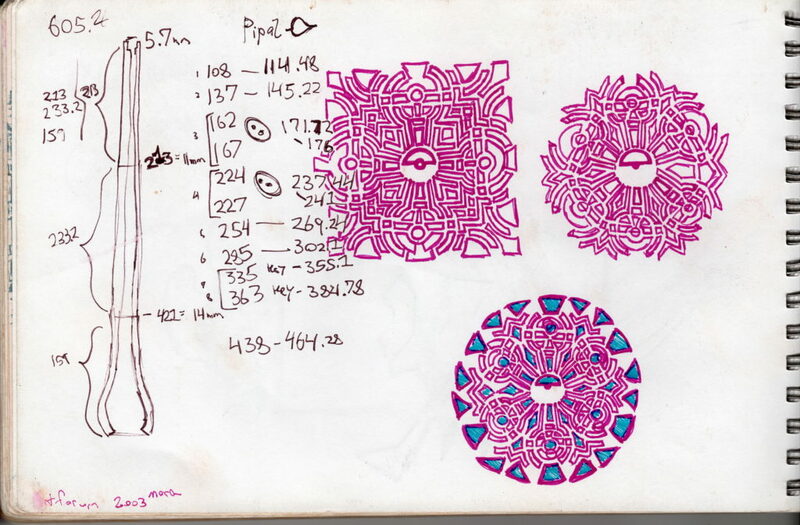 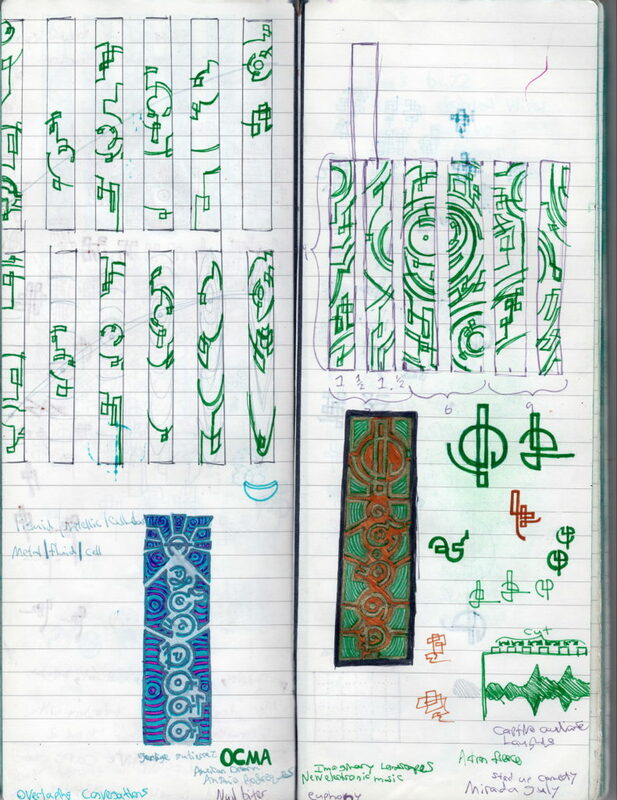 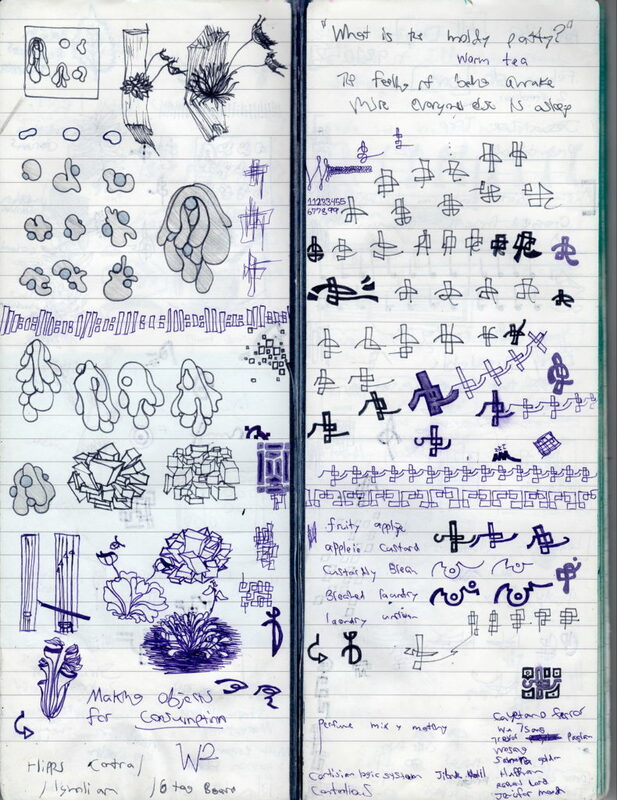 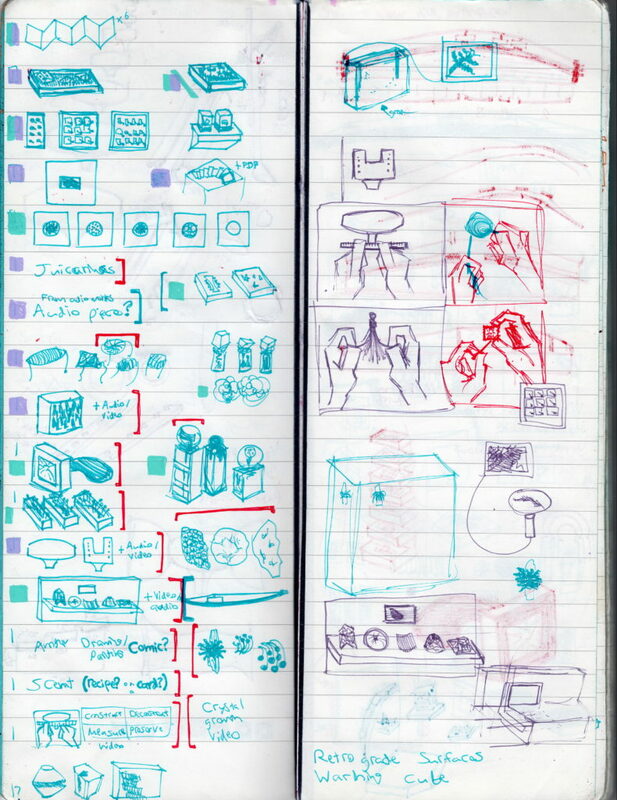 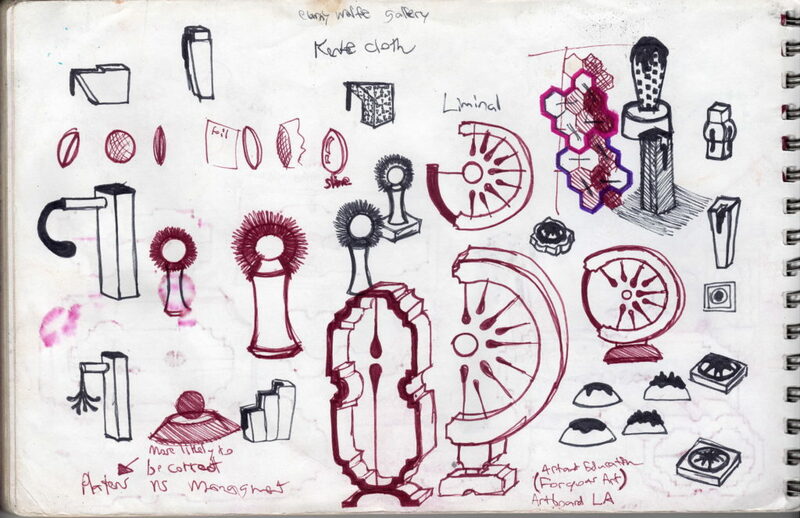 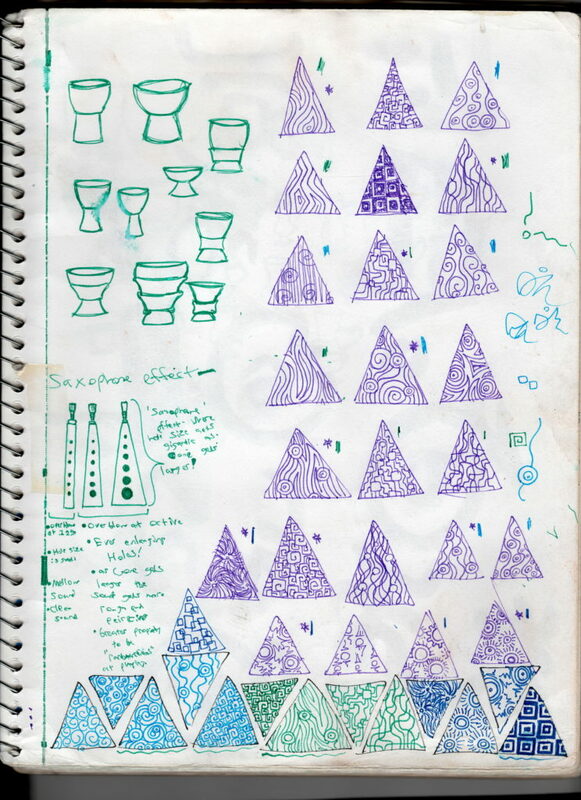 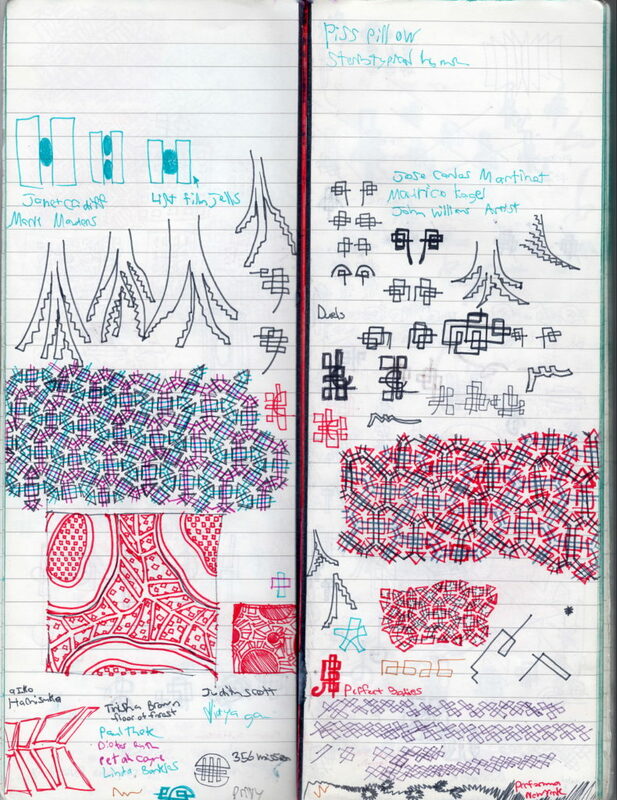 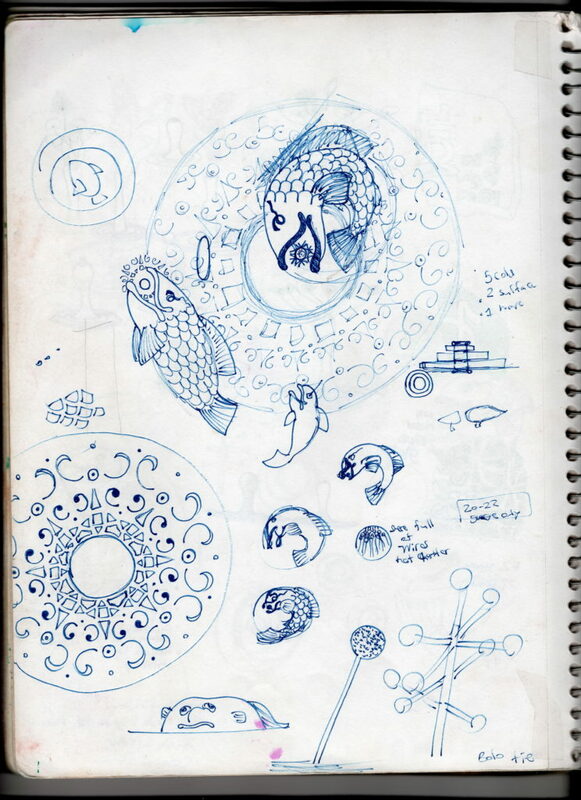 Here are some selections from my notebooks starting in about 2009. 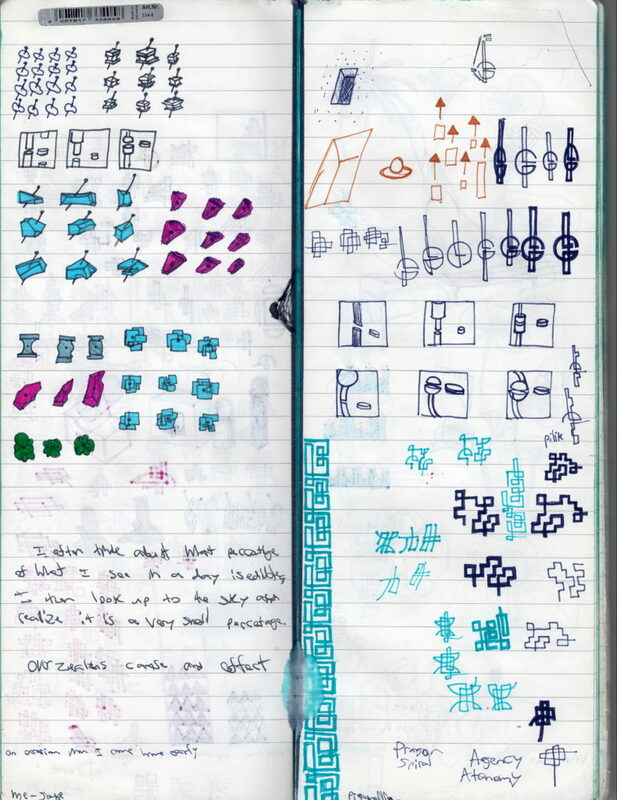 The pages here have been selected very carefully as to keep certain information from the notebooks private. 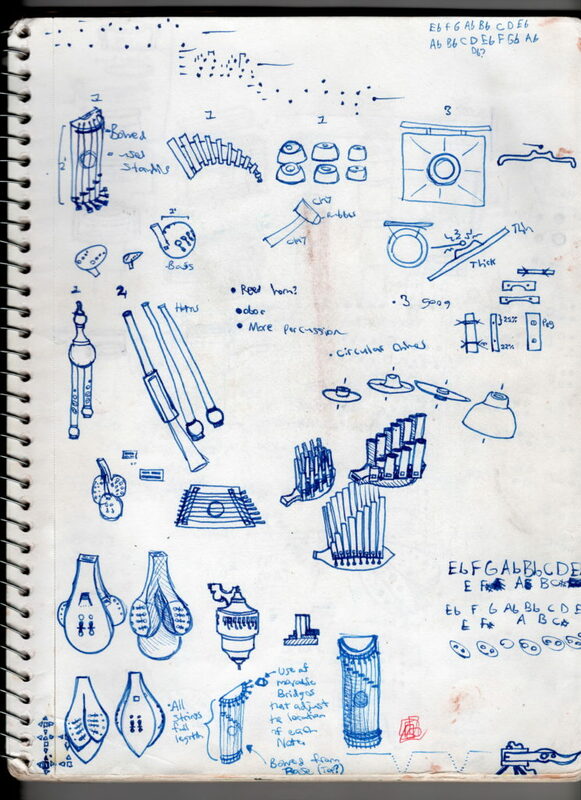 If you would like a complete PDF of a notebook contact me. 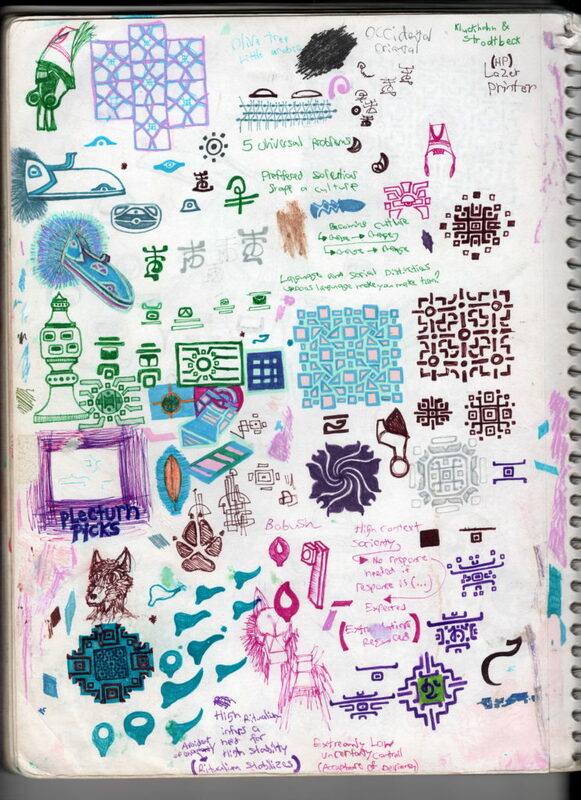 This notebook dates from 2013 to 2015. 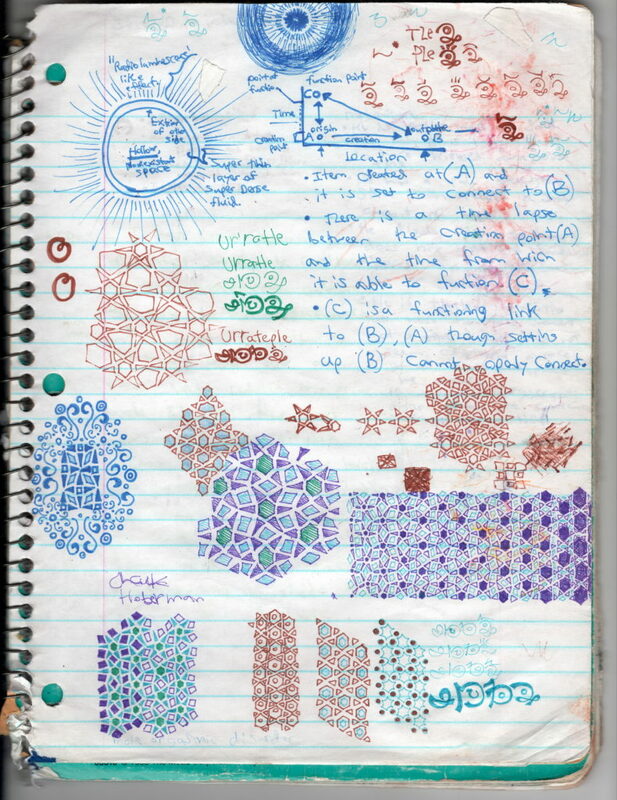 This notebook coincides nicely with the second half of my time at CSULB. 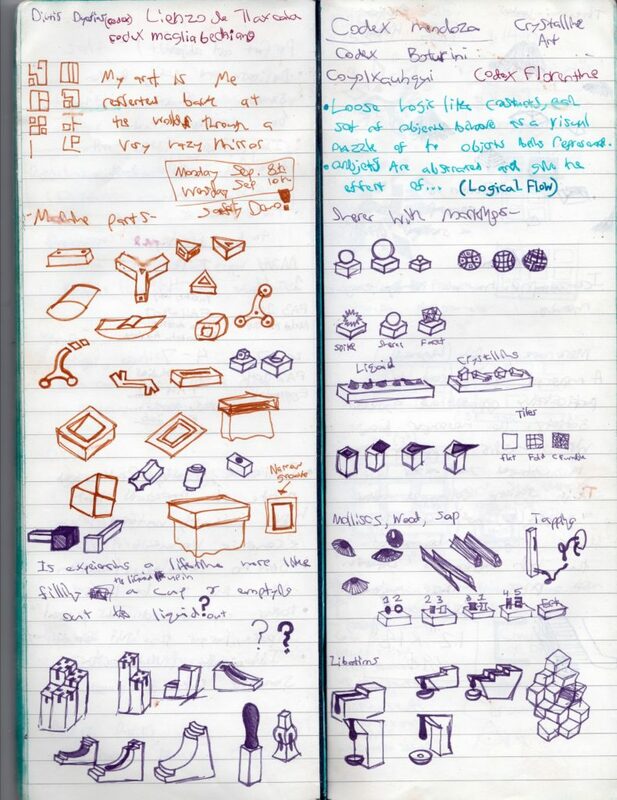 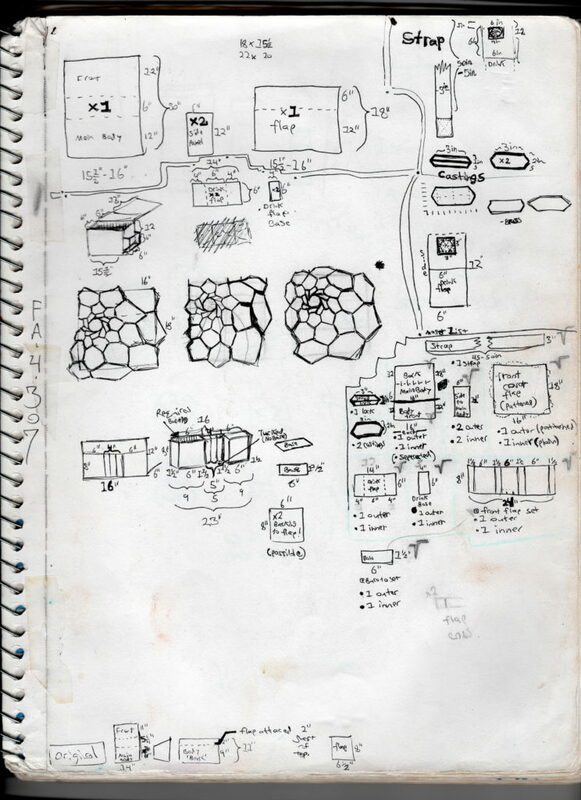 The content of the notebook show a distinct shift to interests in sculptural objects. 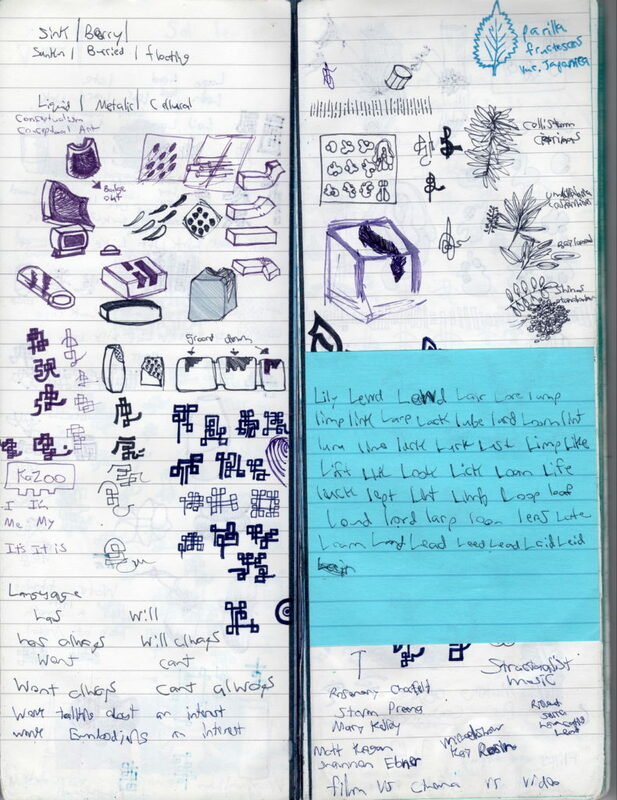 I also develop an interest in the English language in this notebook. 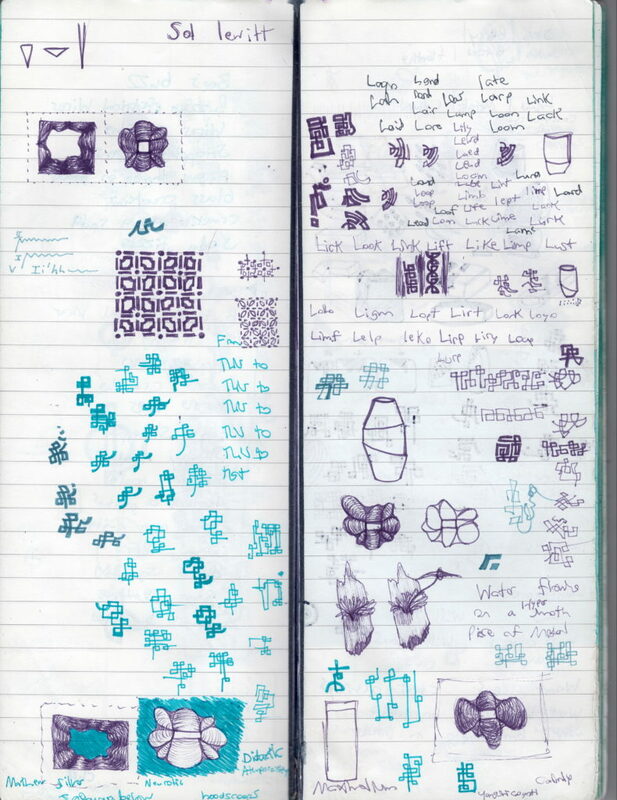 This notebook dates to 2012 to 2013. 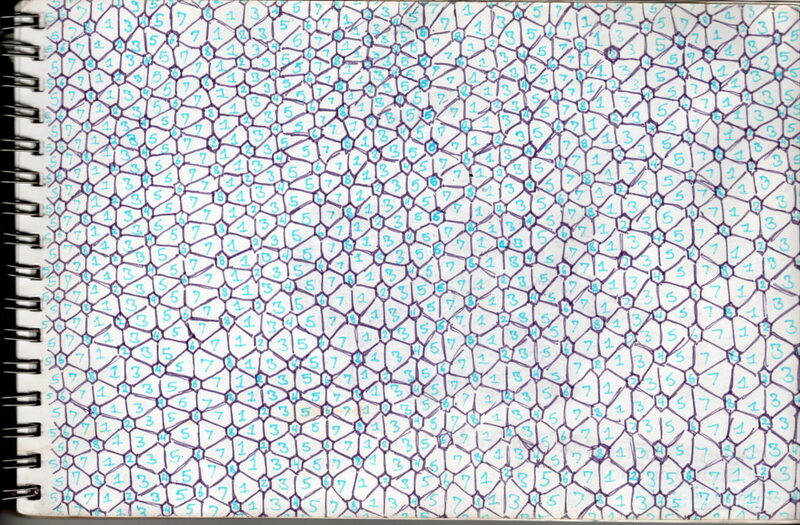 This is the first half of my time at CSULB. 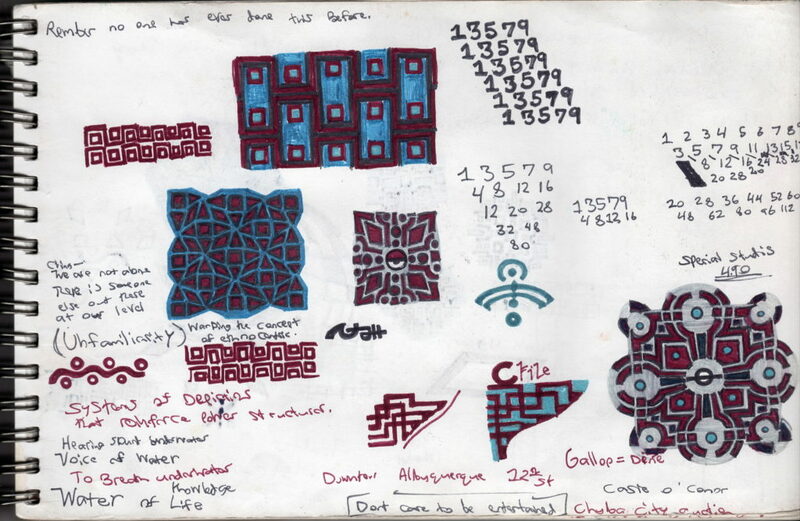 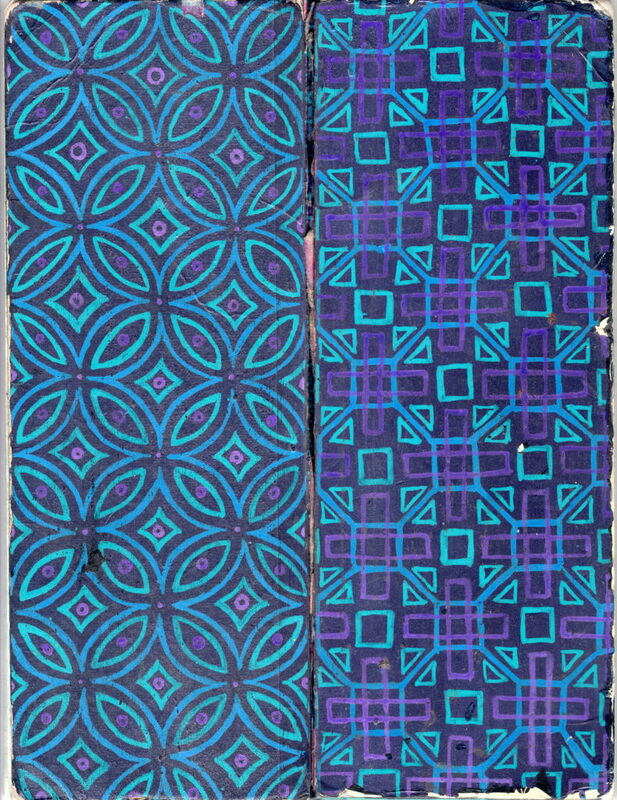 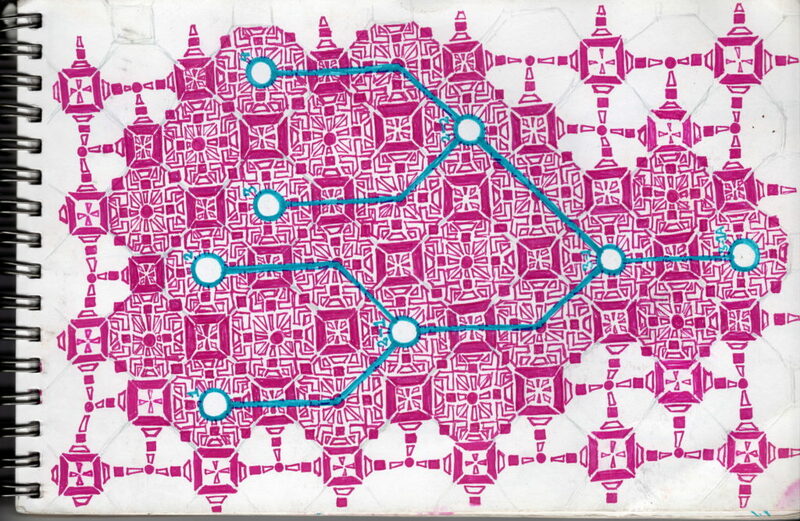 At the time I had alot of interest in pattern. 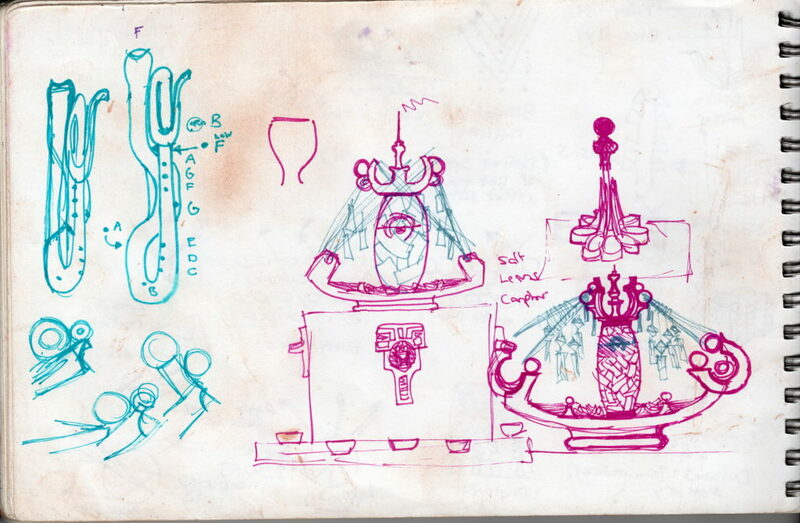 This interest would shift later to sculpture. 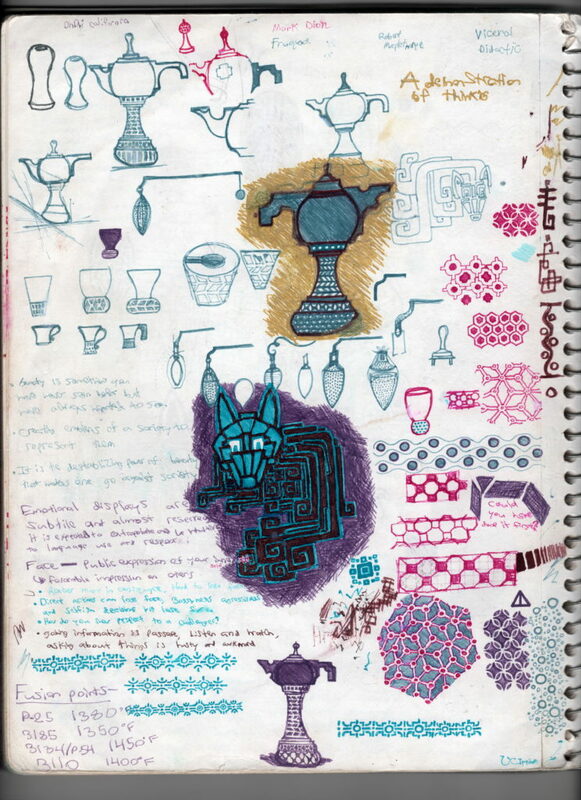 This Notebook was started while I was at MT SAC and continued through the first half of my time at CSULB. 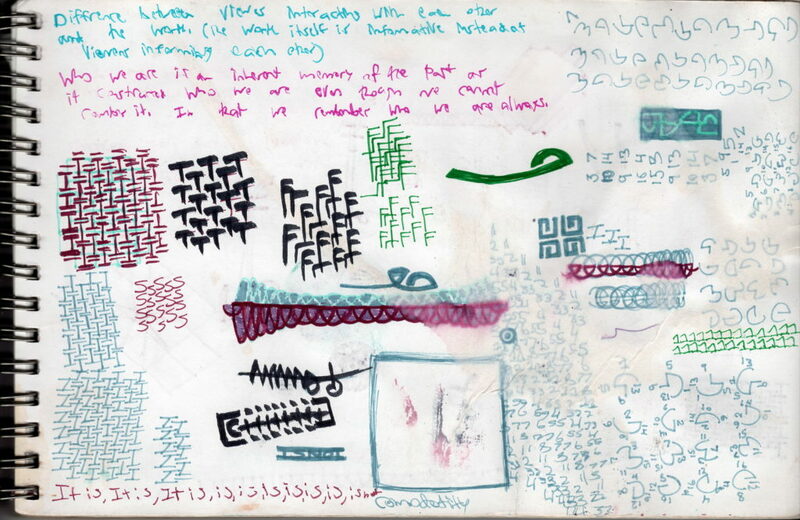 This is the oldest notebook that is relevant to my art practice. 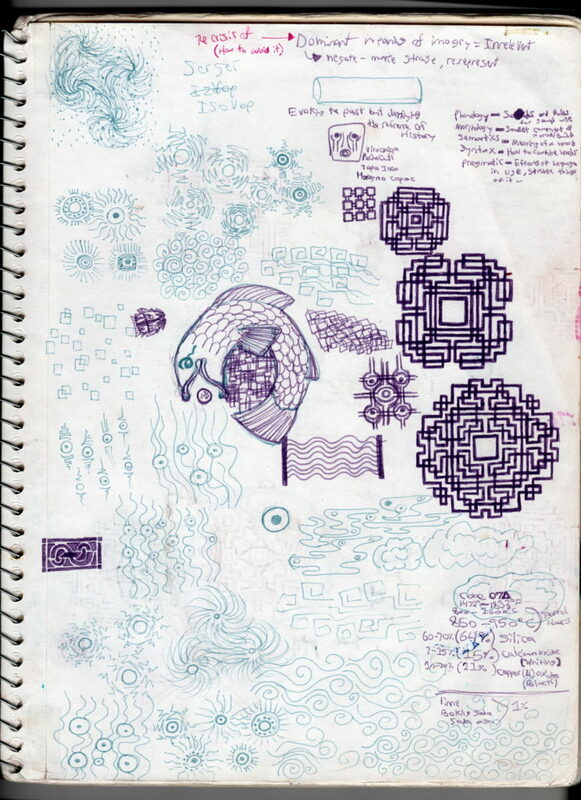 I started this notebook shortly after I graduated high school and began college at MT SAC. 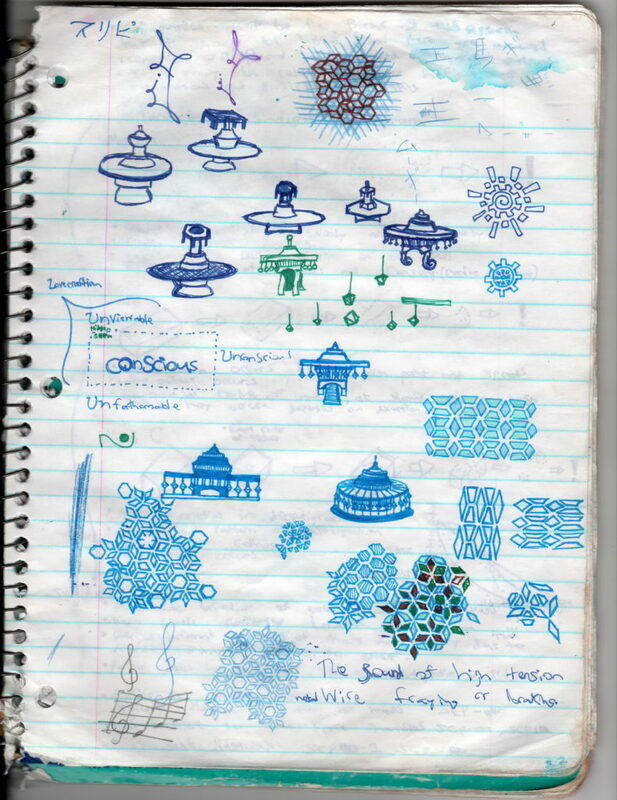 I am featuring very little of this notebook, the pages chosen represent some of the content that would continue in my notebooks.